.458 Win. CZ 550 European Magnum. Mauser type action. Description: 5 down plus one over super sized magazine Mauser type safari rifle with Bavarian style stock. Shot only about 200 times. Some older rust on action which is touched up. Very nice as is, or as a foundation of a super custom piece in 500 Jeffery or the like. 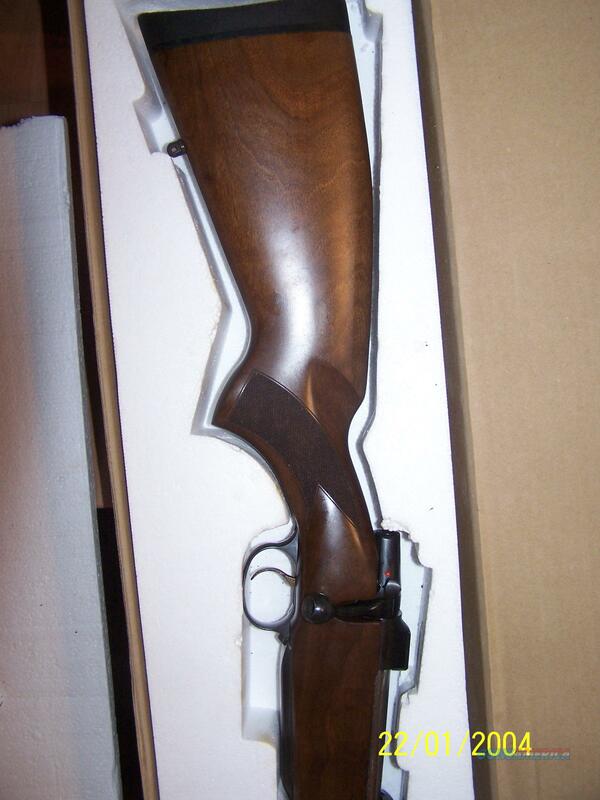 All features standard, set trigger, double square bridge, hooded sight, leaf rear sights. Price reduced April 2018 I can provide more photos, but need an email address to do so. Any reasonable offer accepted. Price reduced 8/2018.